When Fort McMurray rises again from the ashes of the wild fires that tore through the city in May, it could be greener and more sustainable than before. Built Green Canada and the Canada Green Building Council (CaGBC) are both offering to help make the Northern Alberta city’s buildings sustainable as rebuilding in Fort McMurray gets underway. Built Green Canada is extending financial support to residential builders who want to integrate green features into their construction, while CaGBC will provide free LEED registration and certification for residential, commercial and institutional projects. CaGBC is working with LEED Canada for homes providers EcoAmmo and 4 Elements Integrated Design. They will offer free LEED administration services to residents who would like to rebuild or renovate through the CaGBC program. The fire destroyed an estimated 2,400 buildings, of which nearly 1,800 were single-family homes, mostly concentrated in the neighbourhoods of Beacon Hill, Abasand and Waterways. Jenifer Christenson, executive director with Built Green Canada, said they will meet with the Alberta government in September, at which time the group’s offer will be part of the conversation. In the meantime, the group has contacted builders listed on the Registry of Regional Municipality of Wood Buffalo Builders and extended their offer there. “With eyes on the rebuild, there is tremendous opportunity to showcase the environmental sustainable leadership in Alberta’s residential building sector,” Christenson said. Built Green waiving the certification fee for single family homes and is offering a 50 per cent discount on memberships to residential builders. While the membership is annual, it will apply into 2017 and, if necessary, extend the discount into 2018 as well. Because Built Green originated in Calgary, Christenson said she feels very strongly about helping out with the Fort McMurray rebuild. The national, industry-driven, non-profit offers third-party certification programs for those interested in sustainable practices in the residential sector. The programs are focused on energy efficiency, but extend to materials and methods, indoor air quality, ventilation, waste management, water conservation and business practices. The program is based on a checklist, so that builders can decide which green features they wish to incorporate. Built Green has worked with builders since its inception in 2003, completing over 26,000 Built Green-certified homes in Alberta, British Columbia, Saskatchewan and Ontario. Thomas Mueller, president and CEO of the CaGBC, said Canadians watched in horror as Fort McMurray was threatened by a natural disaster that’s becoming far too common in the country because of climate change. This is the third time CaGBC has offered free LEED registration and certification to Canadian communities hit by disaster. Intense flooding in Calgary in 2013 caused damage to thousands of homes in the city. 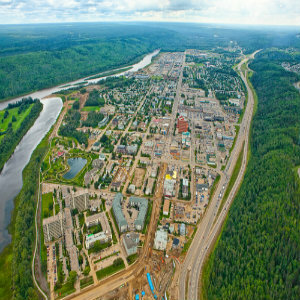 The same year, CaGBC worked with Quebec home builder Cohabitation to help rebuild the town centre of Lac-Megantic after a train derailment and subsequent explosion destroyed roughly 40 buildings in that community. Leadership in Energy and Environmental Design (LEED) is the world’s most recognized green building rating system, with projects in over 150 countries. The buildings’ benefits include better indoor air quality and more natural light; low or non-toxic products and finishes that are safer for occupants; greater durability against the elements; and reduced energy consumption leading to big annual savings for homeowners and businesses. Following the Fort McMurray wild fire, Alberta Municipal Affairs has added three regulatory amendments and one new regulation to the New Home Buyers Protection Public Registry that requires builders to complete a builder declaration before they can apply for a building permit. Additional information can also be collected from a builder, including residential construction history, corporate and financial history and outstanding fines and or orders. Danielle Larivee, the Minister of Municipal Affairs, said following the fires in Slave Lake, many residents faced unnecessary challenges throughout the process of rebuilding their homes.